Sheffield Theatres will present SHOW BOAT for Christmas 2015, directed by Daniel Evans. This version, not before seen in the UK, was first presented at the Goodspeed Opera House, Connecticut, where it was adapted and directed by Rob Ruggerio. 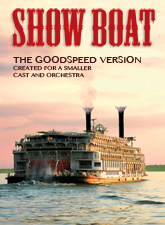 With music by Jerome Kern, book and lyrics by Oscar Hammerstein II, and based on Edna Ferber's novel, SHOW BOAT spans 40 pivotal years in American history, and follows the lives and loves of three generations aboard a show boat as it plies the Mississippi River. 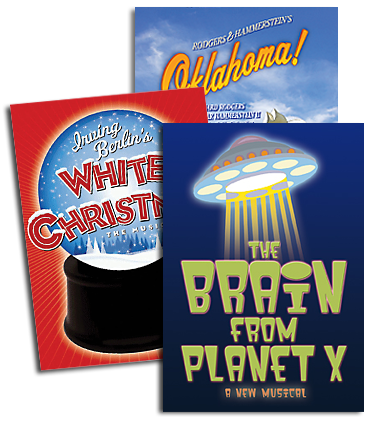 One of the most romantic musicals of all time, this lavish new production features classic standards of musical theatre, including "Make Believe," "Can't Help Lovin' Dat Man," and the landmark anthem, "Ol' Man River." "I'm looking forward to directing a seminal work of American musical theatre, SHOW BOAT, our most ambitious Christmas production to date," said Evans in a statement, who will be joined by a creative team including Lez Brotherston (designer) and Alistair David (choreographer). SHOW BOAT will play at the Sheffield's Crucible Theatre from 10 December 2015 through 16 January 2016.